They have software that texts you as your car progresses through it's maintenance. That way you can better predict when your car will be ready for pick up. Had my first oil change. Checked in with Jennifer...she was great! So professional and helpful! Highly recommend!!! First time going to Curry Acura Service was about a week and a half ago, and I just had to write a review. I formerly used to go to Paragon Acura because of their service coupons however, the assistant service manager here Diane went out of her way to honor my coupon. Herself and especially Jennifer Hernandez were phenomenal, sweet, caring and knowledgeable about the whole process and made me feel welcomed and I immediately trusted them. Jennifer sat with me and went over any questions I had. She was professional, yet caring and greeted me with beautiful smile. I knew that my beloved car was in great hands and they therefore have not bought, but EARNED my future service business. They went out of their way to follow up with me after my service and made sure all went well. Jennifer was BY FAR the best ! and Diane is a great manager! Excellent service and staff are great! bought 3 cars from there thanks to jay goldman he retired years ago he was the best salesman i ever bought from. For a dedicated Scarsdale, New York Acura dealership that offers a wide selection of new and used luxury vehicles, not to mention superior customer service and communication, you’ve come to the right place. Thanks to our beautiful selection of new Acura vehicles, as well as our handpicked lineup of pre-owned cars, you can’t go wrong when it comes to finding your ideal car at our dealership. To get into the car of your dreams, stop by for a test drive today. Whether you’re looking for a fully-stocked parts department or a certified Acura service center, our Scarsdale, NY dealership has them both. Equipped with the latest in auto repair technology and staffed with factory-trained mechanics, our service department delivers the kind of top-notch auto service you deserve. And in our parts department? You’ll discover only high-quality Acura parts and accessories specifically made for your vehicle. To find out more, give the friendly professionals in our parts department or service center a call now. Ready to take the next step with one of our fantastic used or new vehicles in Scarsdale, NY? Visit our finance department to speak with one of our experienced auto financing specialists. You’ll find confidence knowing that our team will work diligently on your behalf to help secure the auto loan or Acura lease that makes the most sense for you. Give us a call today or fill out our secure auto financing application to get started. Whether you choose to buy used or new, our finance department is prepared to help you fund your next car, whether that’s through figuring out the differences between leasing and financing or securing an auto loan with payments you can manage, regardless of your credit history. 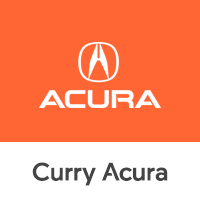 Of course, Curry Acura also offers assistance for our customers beyond the car buying process itself, which is why we maintain a state-of-the-art service center staffed by factory-trained and certified technicians who can handle anything from a simple oil change to extensive body work following a collision. No matter what, Curry Auto makes it our mission to provide a unique dealership experience for our customers and ensure they leave completely satisfied. See for yourself by visiting us at 685 Central Park Ave. in Scarsdale, NY, and feel free to get in touch beforehand with questions! Prices shown do not include taxes, license or a destination and handling charge for any of the vehicles. Actual vehicle/accessory costs, labor and installation vary. Dealers set their own prices. Please consult your selected dealer. Vehicle shown may differ from actual vehicle to be sold.